When there is confusion, it can be quite irritating. Well, move to the other end of this spectrum of convolution, one can have some fun as well. As audience, I would say it is more enjoyable watching both ends than having to face one. 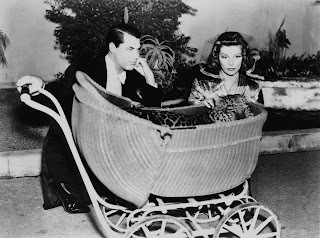 Bringing up Baby is one such movie which I believe was ahead of its era. 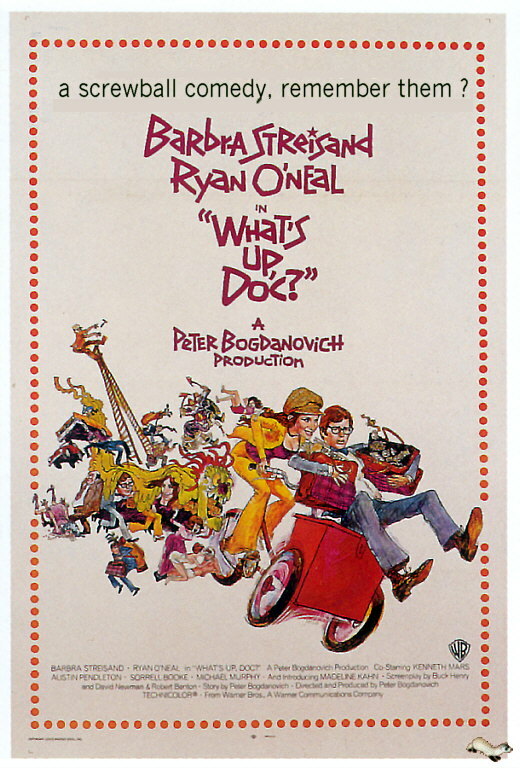 There was a time, when movies were made on a serious note and comedy had a taste of logic in it. 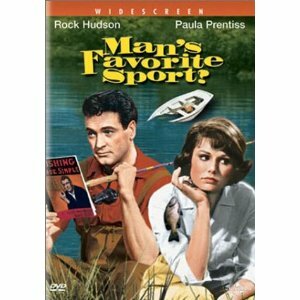 Confusion was more attributed to thrillers and dramas than for comedy in general. It was quite a bomb when this movie was released so much so that director Howards Hawks had to be removed from the existing contract with RKO Productions. 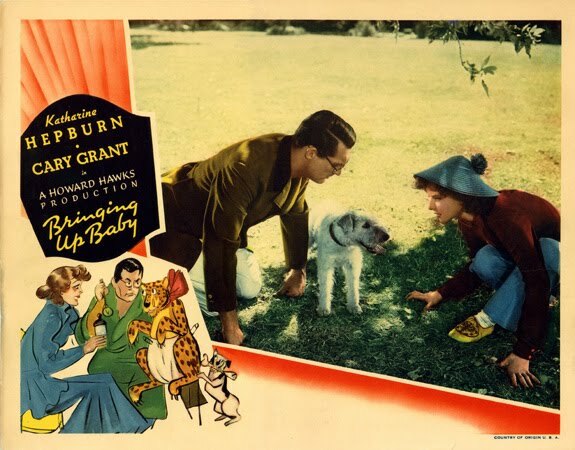 Katherine Hepburn enters the world of comedy with her spectacular performance in the role of Susan Vance. 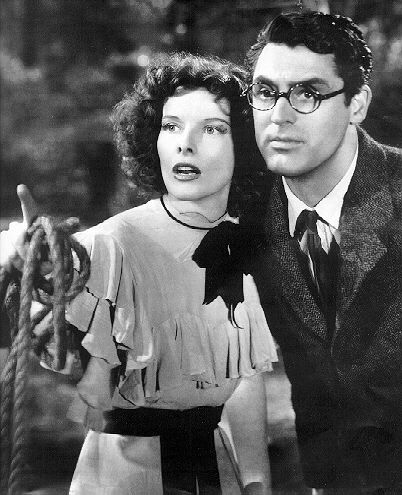 An eccentric, at times lunatic, she teams up with the sophisticated palaeontologist Dr. David Huxley (Cary Grant) in a series of mis-adventures that would see them move from one place to another, exchanging lines, witty jokes and more importantly demonstrate as to why they are still considered among the legends in the history of Hollywood. 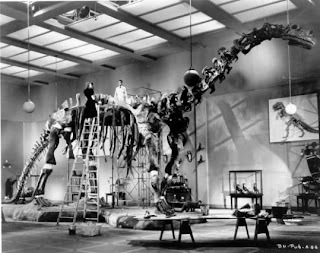 David in need of $ 1 million to complete the project of the brontosaurus skeleton is trying hard to please the endower Mrs Carleton Random. 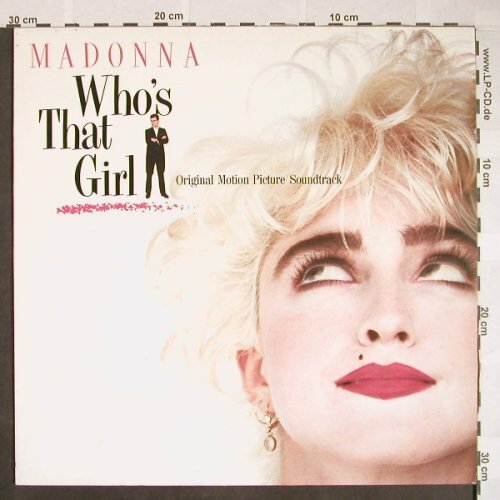 In one such strange moment, he accidentally encounters Susan at a golf course. A young terrier steals the fossil bone and buries it under earth; taming the baby (a leopard) which was a gift from Susan’s brother, the moment when David says‘he went gay’ when questioned of his female attire and many such goofy incidents pack up this movie. David is misunderstood by Susan to be a zoologist and begs him to help her transport the baby to her aunt. He postpones his marriage in order to help Susan, well; he is literally forced into it. Susan believes she is in love with David and tries her best to not let go of David. Upon reaching the aunt’s place, one has many more funny situations with George (Asta, the terrier), leopard escaping etc. In search of the baby, George and the missing bone, David and Susan both end up in prison due to confusion. In the end, when everything is cleared up, David will remain unmarried and his donation to complete the project has also been rejected. Susan meets David to return the bone and gets to know the situation David is in. She decides to donate $1 million dollars through her Aunt Elizabeth and also makes him confess that he likes her standing on the skeleton of the brontosaurus. 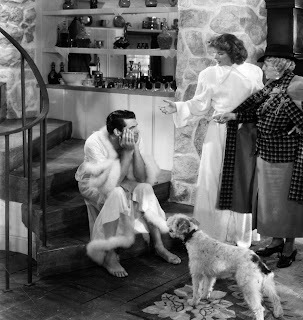 Considered to be one of the classic movies and one of the best from Howard Hawks, this screw ball comedy got its due at a later stage after the initial rejection by public and critics. Cary Grant plays the role to perfection. Quite zany, he is apt for the role of a researcher, who is engaged, and trying to cajole the endowers so that he could complete the project. His character David Huxley’s looks was modelled on the real life silent comedian Harry Lloyd. The title role of Baby was played by Nissa (II), a leopard. Some of the movie scenes, such as the torn dress scene in the restaurant have been re-made in other movies like the 1964 Man’s Favourite Sport and has also been adapted loosely twice in 1972 Peter Bogandovich’s What’s Up Doc?, and the 1986 Madonna starrer Who’s that Girl? 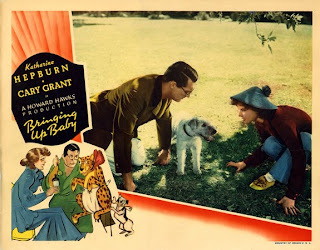 Released in 1938, this movie was adapted to screen by writers Dudley Nichols and Hagar Wilde from a story written by Wilde which was published in Collier’s weekly magazine in 1937.